The heat wave we have been experiencing has me thinking of cool Colorado mountains and Aspen. 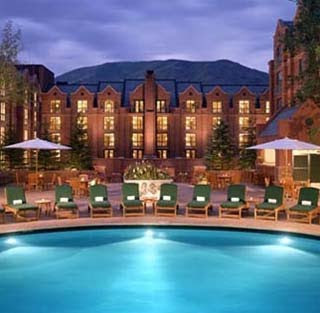 Set among the gorgeous Rocky Mountains, Aspen is an exciting city with a small-town charm. Summer may be the slow season in Aspen, but the city is absolutely irresistible at this time, with temperatures averaging in the seventies and hotel packages that are too hard to ignore. Too much to do, too little time! My husband and I love Audra McDonald, so we booked our trip as soon as we found out about the event. Are any restaurants doing anything special for the season? Great! We will actually be staying at the St. Regis, so I look forward to checking out the specials and live music.